Interior Design by Daniela Malca Benloulou. Photo by Amy Bartlam. Let’s talk interior design y’all. Raise your hand if you’re constantly pinning #dreamhousegoals on Pinterest. Both of my hands are raised real high in the air right now. I have boards for every part of a home – bedroom, bathroom, closet, living room, kitchen, kids rooms, etc. You name it; I have a board for it. But do you want to know something that is even better than pinning away on Pinterest? Actually bringing your dream house to life. That’s where Homepolish comes in. They have an incredible online magazine that features their top designers and real life client projects, which is where I pulled these lust-worthy photos featured in this blog post. My favorite article is the Los Angeles home tour – this is my interior design style to a T. But not only are they a major source of design inspiration, you can also get expert help from top tier designers and a customized-to-you design experience. 1. Sign up on their website and tell them about your project and what you’re needing help with. They’ll then use that info to find you a Homepolish designer that will best suit your specific needs. 2. Buy time with your designer. You purchase however many hours are needed to complete your project starting at $130/hour. 3. Work together with your designer to bring your interiors dreams to life. When you’re ready to stop pinning and start making your dream home a reality, I encourage you to use Homepolish. Think of them as your new best friend: they’re there for you each step of the way. Interior Design by Leah Harmatz. Photo by Sedona Turbeville. Interior Designer by Carisse Lynelle. Photo by Ana Kamin. Interior Design by Tali Roth. Photo by Julia Robbs. Interior Design by Emma Lesser. Photo by Nick Glimenakis. Interior Design by Libra Kaplan. Photo by Helynn Ospina. Interior Design by Becky Shea. Photo by Sean Litchfield. Interior Design by Leah Harmatz. Photo by Helynn Ospina. IN COLLABORATION WITH HOMEPOLISH. THANK YOU FOR SUPPORTING THE BRANDS THAT MAKE THIS + THAT POSSIBLE! I lean more towards mid century pieces and decor that have a cozy modern bohemian flair and I've found 5 very lust worthy dining rooms that ooze this sense of design! Can I have it all?! I've linked pieces below to recreate some of the looks featured above if you're looking to do a refresh of your dining room! 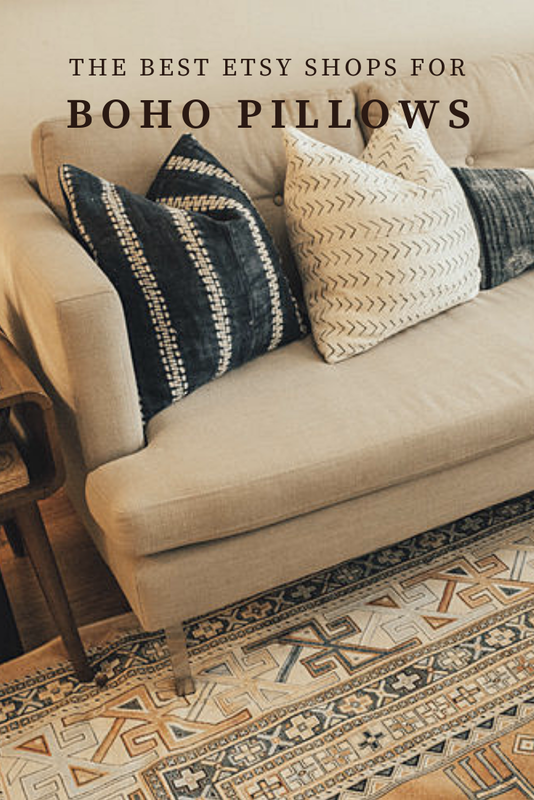 - Layer a smaller vintage persian rug over a sisal rug. As persian rugs run quite the bill, an easier and more cost effective way to achieve the same look is to buy a smaller persian rug that's more of an accent rug and then layer it on top of the sisal which is equally as stylish! - Bring in plants into the dining room for a literal breath of fresh air! Put the plants in woven baskets or even hang some from the ceiling in planters! I personally love cacti and fiddle leaf figs in the home. - Switch out your chandelier for something more mid century like this one or this one. - Lastly switch up your art! There are lots of affordable options out there on art.com, minted, and etsy! Find a mix of pieces that you love and arrange a gallery wall to add some personality to your dining room. If you have a dining room, just know I'm uber jealous. For now, I'll continue to pin away inspiration on pinterest. Be sure to follow me along there!